Multi-channel retail is crucial to the furniture and homeware industry, most customers will choose to look online at products before visiting a store to look at and feel products before making their decision. Every retail sector is different, and the buying journeys for furniture and home retail are especially complex. But making it easier for your customers to buy your products can only bring more business your way. Cybertill’s RetailStore gives furniture and homeware retailers the opportunity to offer a wide choice of products and a more convenient experience. Easily allow your store staff to reserve warehouse stock and have it delivered directly to the customers door. Offer paint and swatch samples, sell fabric by the metre, and hold stock and sales data in part units. Integrated loyalty module to encourage repeat customers, and give you valuable data. Modules for workshop services and repairs. Cybertill has helped many furniture, home and DIY retailers globally gain meaningful insight from sales, stock, and customer data and optimise processes across branded retail shops, concessions, and ecommerce channels. We provide a user-tested and retailer-approved EPoS system with complete retail management modules. 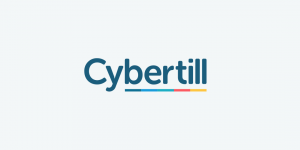 Whether you are a furniture retailer looking to open a city centre small format store with click and collect, or a network of stores, Cybertill’s RetailStore platform can help. Cybertill’s RetailStore platform has helped furniture and homeware retailers maximise profits. See for yourself, book a demo. Why are Cloud Based EPoS Systems the future for retail?